May 6th was a fateful day for the 24-year-old Risa Nagashima, a professional model from Takasaki, a bustling regional city right into the heart of Japan, Gunma Prefecture. 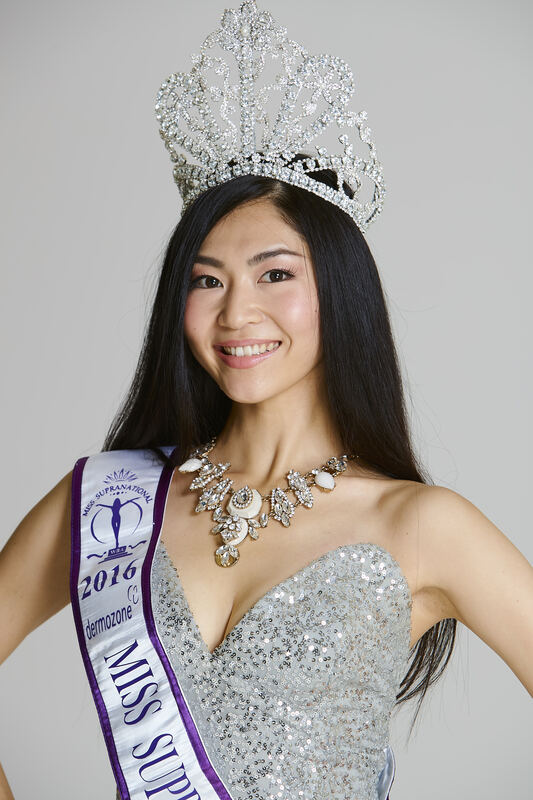 Though she represented Yamagata Prefecture at the inaugural Miss Supranational Japan beauty pageant (2016 dermozone Miss Supranational Japan), which was held in Saitama City, Risa is a proud daughter of Gunma where she was born and raised. Besting 19 other finalists from all over Japan, Risa’s eventual coronation was considered as a victory from behind as she just zoomed her way up to clinch the crown. Interestingly, Risa is the third consecutive girl to have come from Miss Universe Japan representing her country at Miss Supranational. Her two predecessors – Ayaka Wakao (2014) and Mieko Takeuchi (2015) – were her batchmates at MUJ 2014, which was won by Keiko Tsuji of Nagasaki. When not busy with work, loves to spend her free time touring with her motorbike and enjoy the beauty of nature. 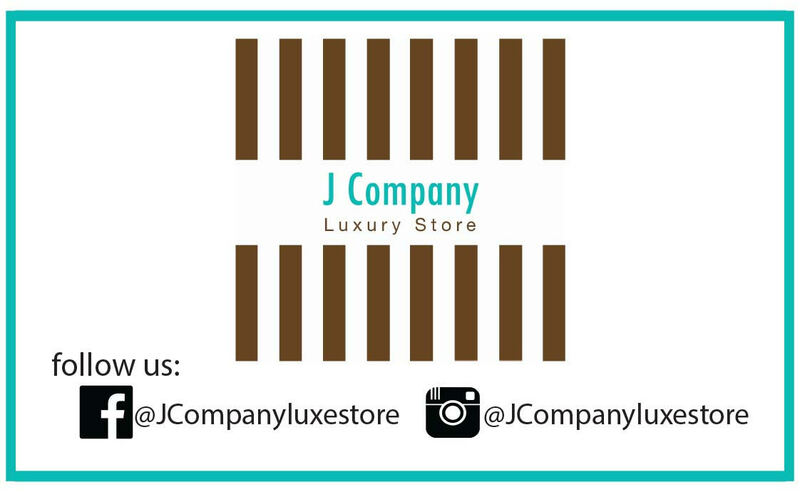 Why did you join Miss Supranational Japan 2016? To be honest, after competing at Miss Universe Japan 2014, I was already satisfied with my Top 15 placement. But somehow, I felt that I could have done better. While working as a model, I came across this opportunity to audition for Miss Supranational Japan and I grabbed it. This time, I promised to myself that it would be my last pageant, so I aimed for the crown. I joined the pageant to win. Pageant sisters. Some of the 2016 MSJ finalists attended Risa Nagashima’s send off party in Roponggi in order to show their love and support. 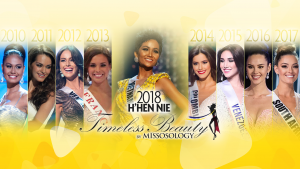 So what were the differences between competing at Miss Universe Japan and Miss Supranational Japan? First of all, it is the transparency. I don’t want to say that Miss Universe Japan was bad because I had a great time competing there, but Miss Supra was a lot different because the judging process was shown in public. People saw that the judges were there to evaluate us, and there was no secret deliberation that happened before the announcement of winners. I have to add, as well, that there is a certain warm feeling among the Miss Supranational Japan family which I really appreciate. The contestants were supportive and helpful, instead of looking at the next girl as a rival or threat. The staff treated us with love and care, like a family member. Also, the final competition was really exciting, to the point that the audience really had a great time watching. We also got the chance to interact with the local people in Omiya, and we were not clogged in just one space. It was the warm reception that we, the contestants, had felt that made Miss Supranational Japan a great pageant to participate. Do you think that Miss Supranational Japan was a fair pageant? I will be doomed if I say that it was not fair (laughs) but after competing in two national pageants, I can say that with Miss Supranational Japan, many of those who watched the pageant would agree that it was a fair pageant. My pageant sisters were genuinely happy for me, and their supporters seem to have agreed with the outcome. It all boiled down to the judges, and the people saw that there was no magical hocus pocus that happened. The scores were tabulated by a reputable firm, and the owner even went on stage to handle the envelope that contained the result. Risa Nagashima together with her runners-up, the judges and the official tabulator of the 2016 dermozone Miss Supranational Japan. What can you say about the level of finalists at the inaugural Miss Supranational Japan? We had a great batch of contestants and even up to now I cannot believe that the judges had chosen me. Now, I am representing all of the girls who competed with me last May in Saitama City, and because of that I am even more inspired to represent the country well in the international contest. Imagine, from the 20 of us, there are around five girls who have gone or who are going to an international contest. It is not normal in Japan to have one competition where four or five girls will be given the chance to compete abroad. I have to say that Miss Supranational Japan is bound to become bigger and better. I think (some pause) the judges had seen that I was just being myself and was simply having fun while on stage. Like I said, it all boiled down to what the judges were looking for, and at that night they saw in me the confidence that made them think that I should win. Actually, I was dancing at the backstage while waiting for my turn because I was excited to be onstage and to perform. All of us, the finalists, got the same training and time to do rehearsals, so to me, I just thought that I should just enjoy the moment and be myself. And it worked! 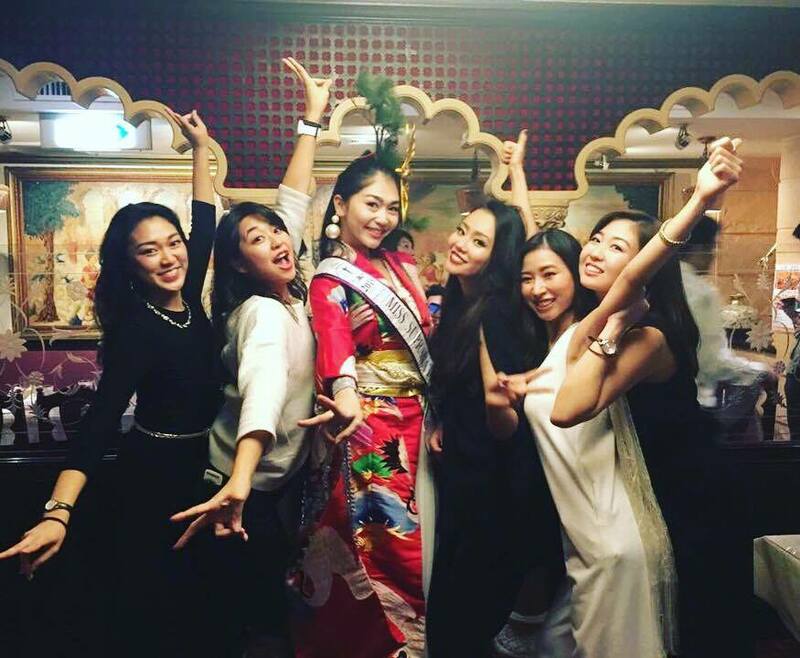 Since winning the crown, what sort of activities have you done as Miss Supranational Japan 2016? I got the chance to be represented by a great modeling agency. So I got more modeling offers since becoming Miss Supranational Japan. I became an image model for Lycee, a lingerie brand which was one of our sponsors during the national competition. Being Miss Supranational Japan also gave me the confidence to audition for Paris collection, and I got in! So, last September I was in Paris! But I think the biggest contribution that I have done, so far, is when the Japanese Handball Association noticed my victory. Risa Nagashima proudly wears the t-shirt that was made for her and her supporters. Many people do not know that I was actually a handball player from junior high school until college. I was part of the Gunma varsity team which represented our prefecture in the national competition, where I also acted as the team captain. We actually made it up to the Final 8. Anyway, I have been involved in sports for a long time, so I majored in sports business in college, at Hosei University. Handball is not popular in Japan, but it is popular in Europe, like in Poland, where the Miss Supranational finals will be held. Because of my victory at Miss Supranational Japan, I was able to inspire the handball association members. I made them feel that someone from our small circle can actually win a pageant, and compete in an international contest. So they are very excited for me, to the point that they even made a “Team Risa” t-shirt. So, what kind of Miss Japan are we going to expect from you during the Miss Supranational 2016 pageant in Poland? Poland and Slovakia! Please don’t forget the co-host country (laughs). Oh sorry… Poland and Slovak Republic. (Smiles)… So, anyway, I was born and raised in Japan, and I have never experienced living abroad, so in a way – not saying it in a weird way – I am someone who best represents a typical Japanese. I think that just being who I am and showing to the world the values and goodness that have been instilled in me by my parents, I will be able to represent our country with dignity and pride. And also, I want people to recognize the existence of the Japanese handball team, and what we are capable of. Handball is very popular in Europe, but not in Japan, so I want this opportunity to show to them that we are also good at it. Tokyo Olympics will be held four years from now, so I think that being a sportsperson, I can best represent a strong and determined Japanese woman through Miss Supranational. This is very interesting, because we barely associate a beauty queen with someone who is very passionate to a specific sport discipline like you. I think this is really a perfect chance for me. 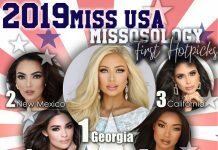 This is a unique opportunity to be able to connect a major pageant like Miss Supranational into sports because pageant girls are also athletes in our own way. Yes, we can promote tourist spots through beauty pageants, or even charity activities or events. But to me, this is my advocacy, and I want people to better appreciate handball, or any sporting event that they are passionate with. The buzz word in Japan right now is the Olympics, and a lot of political and business decisions are anchored with Tokyo 2020. As early as now, I want to be able to make a contribution to that through my advocacy. Risa Nagashima together with her male supporters during the send off party held in Roponggi. 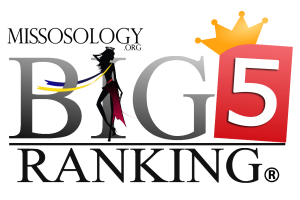 Finally, any message to your fans and supporters at Missosology? Arigatou (thank you) is all I can say! Thank you for the love and support. I don’t know how to answer everyone back, but really, thank you for all the love that you have given me. I really want to say more but I don’t want to miss my train, so please continue to support me as I compete in Poland and Slovakia.